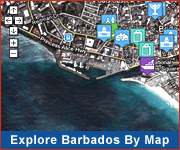 Living in Barbados - Real Estate, Relocating, Education, Business Services, Business Opportunities and more! You can buy luxury homes & villas, condos, townhouses, residential houses & land. Get help from property management companies, real estate agents & legal firms. There are communities around golf, tennis, marine, polo and plantation estates available for purchase and for short term and long term rental. The active international business and offshore communities are supported by international accounting, management and legal services to help with residence and business matters. There are many local management companies to help you relocate and manage properties in your absence. Immigration to Barbados has its reward; it's a wonderful place to live, work and play and is very open to investment with international tax treaties and incentives for offshore businesses. Barbados Investment & Development Corporation, Invest Barbados and Barbados Tourism Investment Inc. can help with funds and advice on building a business on the island. The school and education systems are British by design and are of a high standard. Literacy is the highest in the Caribbean and high by international schooling standards. Primary, secondary and tertiary education is free to all citizens. Barbados is a medical center for much of the Caribbean. There are several private clinics and a Government hospital providing services under the health care and the national insurance coverage. 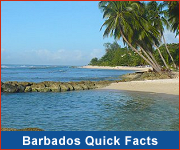 Barbados is the perfect place to purchase that retirement house or holiday home! A prime destination for international businesses and investment opportunities! Business services, facilities, lodging and more abound for your professional needs. Barbados is one of the most stable locations in the world for business with prime investment opportunities and incentives. It is also a preferred location for setting up a retirement house or purchasing a holiday home. Barbados is also well on its way to becoming a leading Caribbean business destination, with a plan in place to cover the entire island with WiFi internet access! So, if you are looking to relocate, host a conference or convention or set up an international business, think Barbados! The island benefits from a long tradition of political and social stability, a highly-skilled and productive workforce, sophisticated international telecommunication services, and a superior infrastructure.